If you are looking for a weekend holiday, a quick in and out trip or a few weeks spending in one of the most sought-after travel destinations in India, Andaman would stand out from the crowd. Its picturesque beaches, azure blue water and virgin rain forest are well enough to satisfy your quenchable thrust for travel and adventure. Even if you look for a quick in and out trip on a tight schedule and tighter budget, you are sure to meet it exactly. However, for happy and satisfied holiday spending in Andaman, you need a concrete travel planning so that you can cover maximum places of attractions in your itineraries. 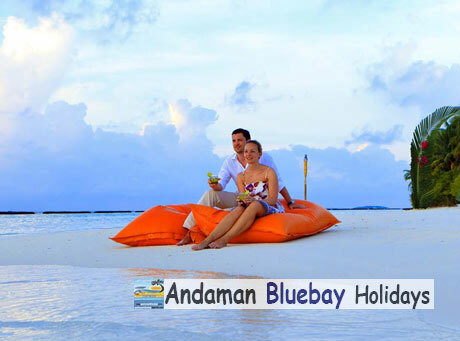 To provide you with the same, there are many tour organizers and travel planners in Andaman. Moreover, they are ready to provide you with a handy travel guide that can fulfill almost all your purses. To make Andaman Holidays interesting within your available time, you should take the service of a professional tour organizer in Andaman. They are dedicated to offering concrete Andaman travel planning, organizing, and controlling solutions to make your Andaman tour timesaving yet interesting. Depending on your needs, they will set dos and don’ts for your Andaman trip. Side by side, when you come to spend a few weeks in Andaman with your friends and families, these travel planners in Andaman will set your plan in a different way. As you have sufficient time at your disposal, they set all handcrafted itineraries for you so that you can cover these in the most relaxing ways. To make it more colorful, they offer you personalized services so that you can extract maximum pleasure and aesthetic pleasure out the Andaman activities and attractions respectively. Moreover, to meet each specific need and make the matter more convenient for the heterogeneous groups, many advanced travel organizers in Andaman have brought variations in their services and solutions. They showcase these online so that the travellers coming from a distant place can easily choose any of these according to their needs without spending much time for finding it after reaching in this travel destination. As the consequence of it, different types of Andaman Tour Packages have come to the science. Most of these are set on days. I mean 4-day holiday packages, 6-day holiday packages and many like these. A few travel companies offer packages, facilitating sightseeing and pleasurable activities in one package. Unlike the past days when travellers had to find all one by one, wasting their time, money and efforts, they can take the best advantages of these packages. Now they can have the pleasure of a happy and successful trip without brainstorming a bit for it.